Many times I have been recommended a restaurant that is super popular in the city, but after dining there I tend to walk out feeling disappointed...it was good, but not that good. Pune has a few restaurants that are deemed a must-visit for outsiders. My theory is that these popular outlets were good at one time, but once they gained popularity and the footprint, somewhere along the way, the prices sky-rocketed and the food quality suffered. Nonetheless with some PR machinery backing them up, they do get their desired footfalls. Sometimes, the best restaurants turn out to be the ones very few have heard of. One such not-much-talked-about place is Soy. My sister discovered it two years ago when severe sushi cravings drove her on a city-wide hunt for a restaurant that serves decent ones. Sheltered on the ground floor of Le Royce Hotel, the chefs at Soy dish out some remarkable Chinese and Japanese food. Their menu has good range and better still, vegetarians will not be left upset I assure you. Once you place your order, busy your self and build appetite by munching on their sweetened carrots and cucumbers and of course, some kimchi. On some odd days, their kimchi can tend to taste a bit off, but when they get it right, it's divine. Don't ignore their chilli mix, chilli oil and soy sauce which work as befitting condiments with your meal. Their soups are a winning start and set the pace for a hearty meal ahead. The hot & sour chicken soup is a regular for me and I don't prefer filling my stomach with soup so I always take the waiter up on his one-by-two offer. The light clear soup with lemon and coriander is also a wise choice. Veggies and meat in the soup are sufficient enough. I'm a big fan of starters, and prefer eating them over mains. 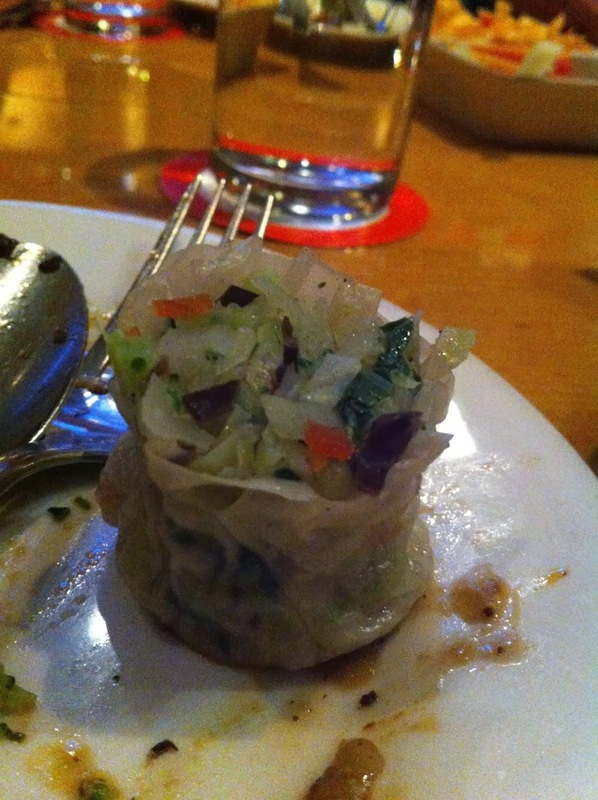 Sui Mai (open faced dumplings) are divine - they come with a light dough casing and a subtly flavoured stuffing of cabbage, carrots and other veggies finely diced. Dunk the sui mai into soy sauce before devouring every bite. 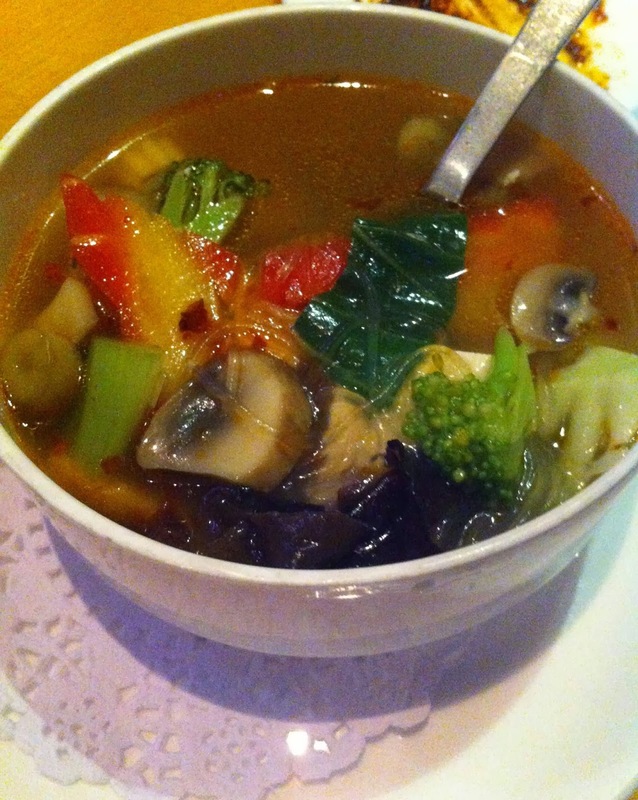 Silken Tofu with steamed vegetables is another impressive dish. 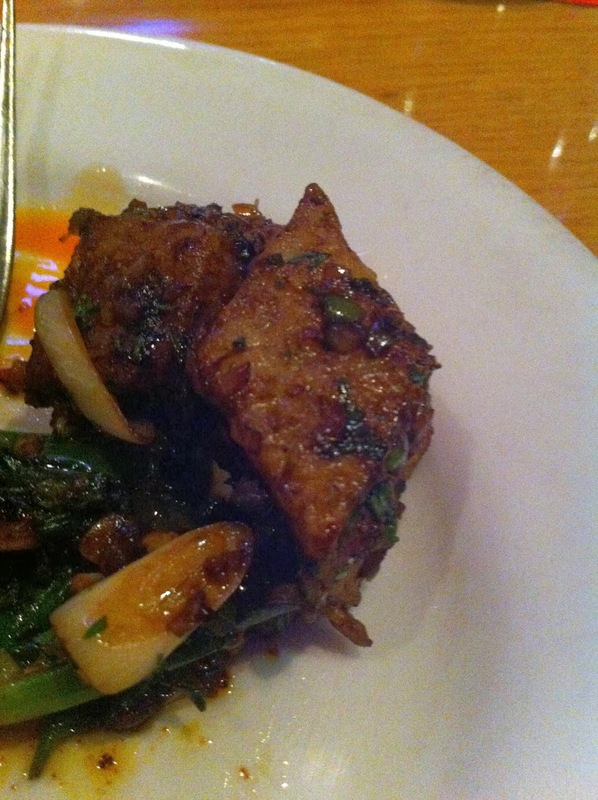 Big squares of delicate silken tofu bear the weight of veggies spiced with ginger. 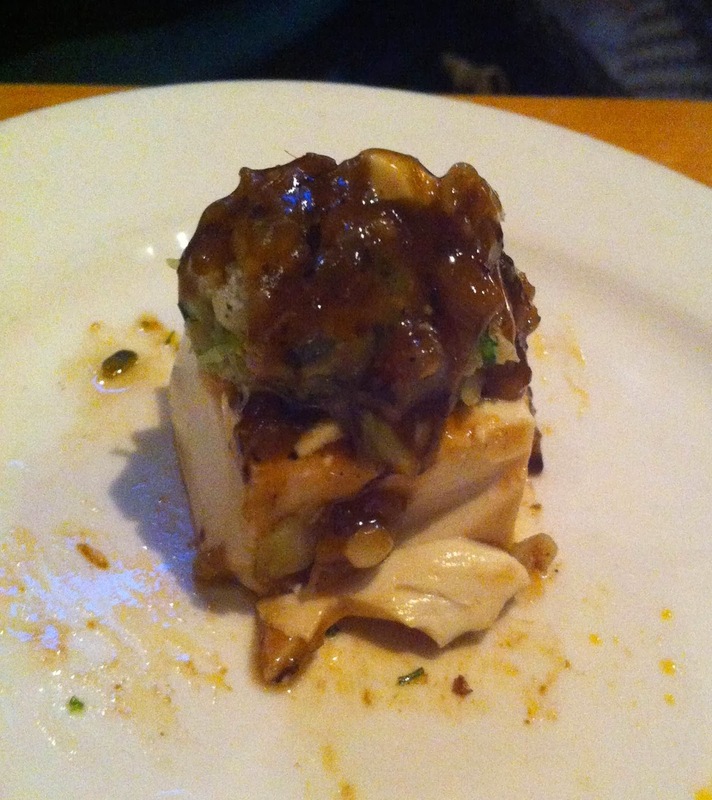 The combination works beautifully and the texture of the tofu is smooth and true to its name. Another favourite pick of mine is the Corn Curd Salt & Pepper. They come diamond-shaped and the corn jelly which is mildly sweet is welcoming to the palate against the heat and spice from the salt and pepper on the coating. A mixture of chopped shallots and spring onions garnish the dish. 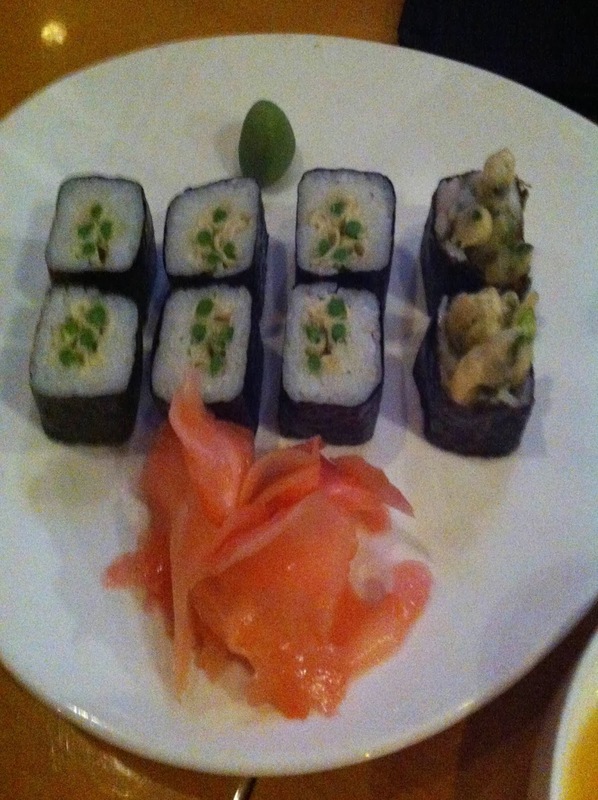 Let me now tell you about the Fried Asparagus Sushi which is served with wasabi and pickled ginger shavings. The sushi is bite sized, stuffed generously with chubby rice and asparagus and encased tightly with seaweed. Combined with the heat and kick from the notorious wasabi and the sweetness from the pickled ginger, the sushi is a pure pleaser. Like I said earlier, I'd rather skip the main course, but one in particular caught our eye - the Bamboo Rice. Soy takes this dish seriously as we were to find out. Not only did the rice preparation come with ample bamboo shoots cooked in it, but the dish was also served in bamboo, with a piece carved out to make for the covering! Beautiful presentation-wise and a delight, taste wise. 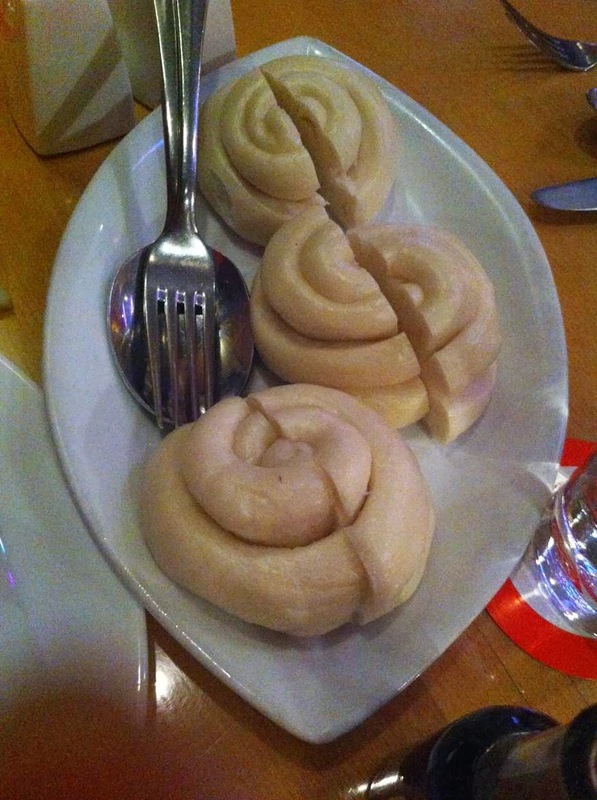 There's one more dish I want to mention - the Mantou a.k.a. steamed Chinese buns! Soft and fluffy and white-coloured, the bread is a treat! Slightly sweet, perk up the sweetness by dipping the bun in honey which you should ask the server for. I think dessert then is really not required. Days when we don't feel like cooking at home, some soup, starters and sushi at Soy suffice. When I had visited Soy initially, it was a piteous sight to see us being the only ones the waiter had in the restaurant to serve to. But gradually, I am seeing them having some great table turnovers. I'd like to think I've done by bit in spreading the positive word-of-mouth. And I have to tell you, even my cousins who came from Hong Kong thoroughly enjoyed the Chinese fare here! Say Nǐ hǎo to Mapo Tofu!